SNAFU! 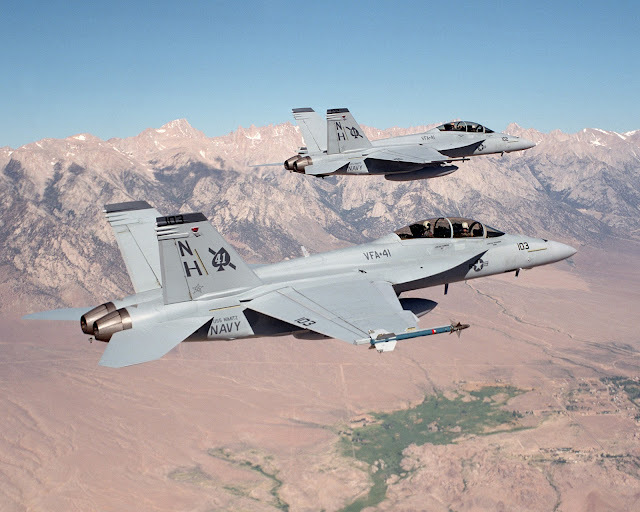 : Did the F-35 Program Manager just indicate that the Advanced Super Hornet is a go? Did the F-35 Program Manager just indicate that the Advanced Super Hornet is a go? General Bogdan was in Australia making the usual sales pitch about the F-35. What he had to say about the US Navy and its mix of F-35's and Advanced Super Hornets is beyond interesting...I think it reaches into the area of "foretelling". Check this out via Defence Connect. The second portion of the task, said Lt Gen Bogdan, is largely focused on the US Navy. "The US Navy has always had a plan to use both the super-hornet and the F-35 C together on their large deck carriers. They have always said that both the Super Hornet and the C model would be complementary to each other. That hasn't changed," Lt Gen Bogdan said. "The question that was asked, and the specific answer we're trying to give the new administration is, ‘What is the right mix of F-35 C's and advanced Super Hornets on large deck carriers now and in the future?’ And that investigation is ongoing." Lt Gen Bogdan was quick to state that this question should not be of concern for Australia. "I think the subtle piece that's important here, especially for Australia is that, that investigation and that set of questioning, and that tasking is nothing to do with A models or B models," Lt Gen Bogdan said. "There is absolutely no intention at this point in time, to change the programme of record on the A model or the B model. This was a unique question about the C model, about the mix of aeroplanes on an aircraft carrier, and about the advanced super-hornet and the F-35 C.
"So, from that perspective those are very reasonable questions that the new administration asked, and we're setting out to answer them – neither question has been answered yet. "I can tell you on the affordability one, after doing all the work that I did I gave you a little preview of the movie here, I think an US$85 million aeroplane can be lower than that, for an A model. "I think less than an US$85 million aeroplane is probably achievable, and you'll see that in some of the results that I plan to brief to the department." Is it me or did the F-35 program manager just tell the world that "yeah the Navy is gonna buy Advanced Super Hornets, but its just those crazy squiddies!"